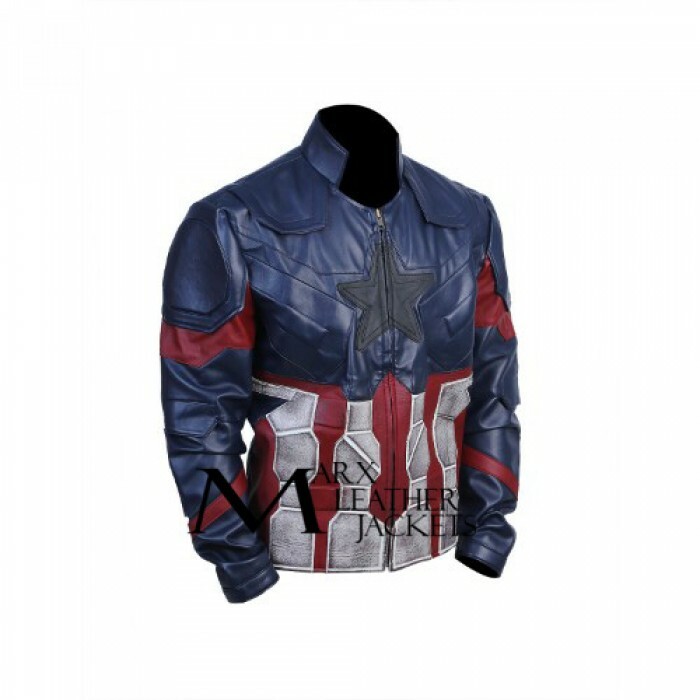 This Captain America jacket is hand-crafted using the highest quality material and top-notch stitching. Staying true to the original, the jacket is in a stylish dark blue color. 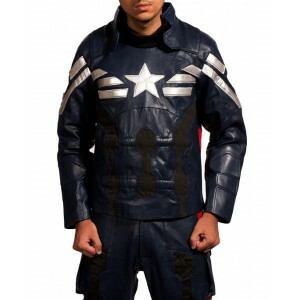 It also includes an embroidered black star and red/white patterns for a more stylish look. 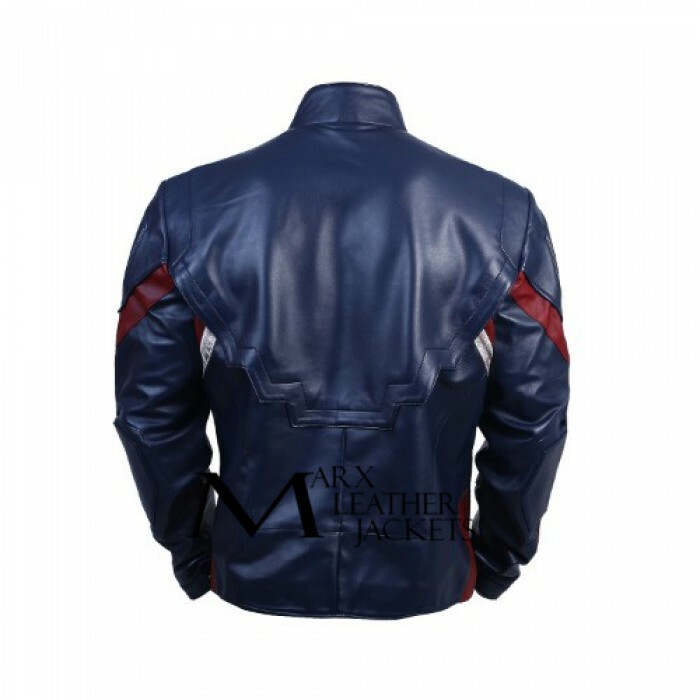 It is made of premium quality faux leather with open collar, shoulder padding and full frontal zip for maximum comfort. 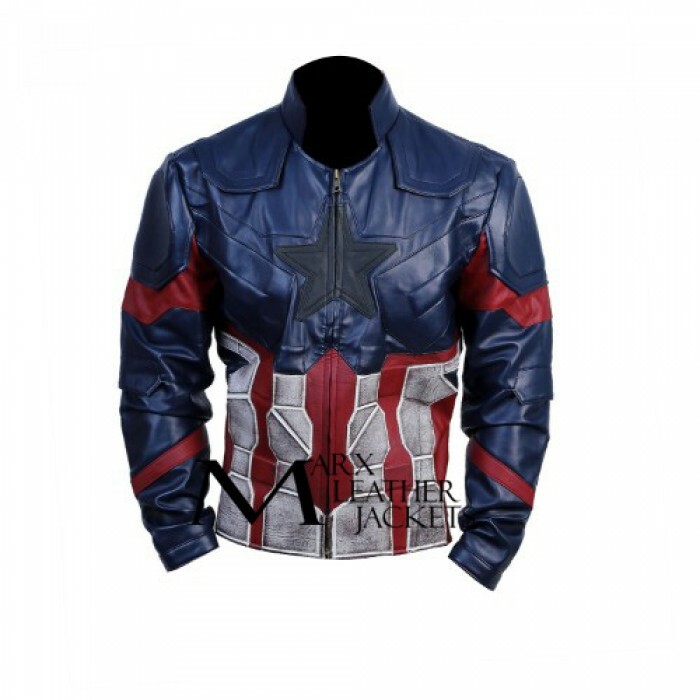 This awesome leather jacket can be paired with any type of clothing, so grab yours now!